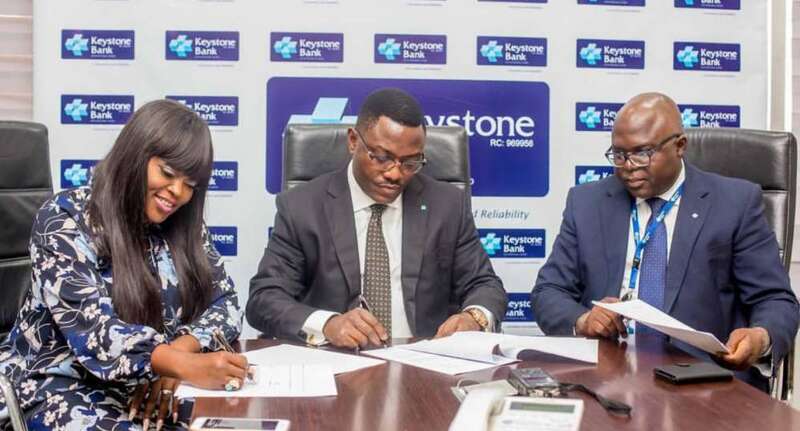 The Nigerian actress, Funke Akindele is the newest ambassador of Keystone Bank. The bank made this known to the public by sharing a picture of the signing the endorsement on their Instagram page. Keystone Bank recently signed on @funkejenifaakindele as a brand ambassador. Keystone Bank GMD/CEO Dr. Obeahon Ohiwerei (middle) and General Counsel for Keystone Bank, Dr. Michael Agamah (right) during the signing ceremony at the Head office.